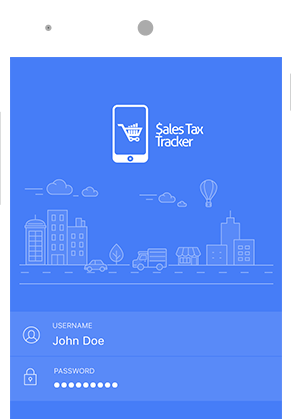 Sales Tax Tracker: The app that helps you to get money back during the tax season. You can use the government’s calculator which estimates the sales tax you paid based on your income or if you want to maximize your deduction you must save your receipts showing the actual sales tax that you paid. That’s where Sales Tax Tracker helps you save money! "If you file a Form 1040 and itemize decisions on Schedule A, you have the option of claiming either sales or local income taxes you paid or state and local sales taxes you paid (you can't claim both). If you saved your receipts throughout the year, you can add up the total amount of sales taxes you actually paid and claim that amount." Could you be getting more out of your tax return? Did you know that the IRS allows you to deduct the State Income Tax or Sales Tax you have paid from your Federal Taxes? (You can’t claim both) While you can use the government’s calculator to estimate the sales tax you’ve paid based on your income, the only way to maximize your deduction is by saving each receipt, keeping a record of the actual sales tax you’ve paid all year. This may seem like a lot, which is why Sales Tax Tracker is here to simplify that process. Our easy-to-use App keeps track of and saves your receipts, calculating the actual amount of sales tax you've paid. Those ways, when tax season comes along you save the most money possible! Snap, Track and Save, it's that easy. 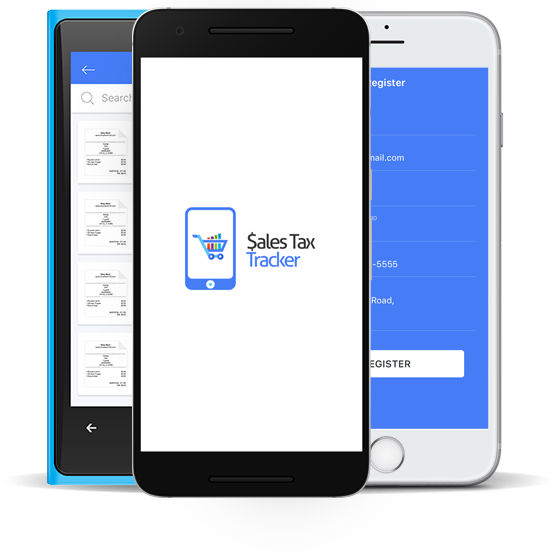 Sales Tax Tracker is the app that will effectively help track your receipts and the sales tax paid, giving you a full report at the end of the year that you can use to claim the deductions you are entitled to. With Sales Tax Tracker, all of your receipts live in one place, allowing for safe, simple, and secure receipt storage. Sales Tax Tracker does not supply tax advice. Please contact your local CPA or Financial Advisor regarding tax law and regulations. We’re a group of passionate individuals who are ready to help people like you save time and money. We’re tired of spending countless hours keeping track of and adding up thousands of receipts and we can guess that you are too. That’s why we’ve created Sales Tax Tracker, an app that will efficiently and effectively get us all the tax refund we are entitled to. Our goal is to create a safe, simple, and secure process for tracking individual sales tax at the federal and state level, in order to easily deduct the final amount from your taxes, saving money in the process! Snap, Track and Save. It's that easy. The app will create a CSV file with date, time, and amount of sales tax paid. It also saves the picture of your receipt. The app also allows you to back up your receipts to a cloud based storage service for you to download to your computer and present to your tax preparer. Every state has different rules for deducting sales tax - see attached list for the deduction in your state. You can find us in the app store on your Apple, Android or Google device! © 2019 Sales Tax Tracker. All rights reserved.